ZENTECH - insanity with style...: Speedtest - here are the fastest 4G-phones and tablets in the world - LG G3 in lead! 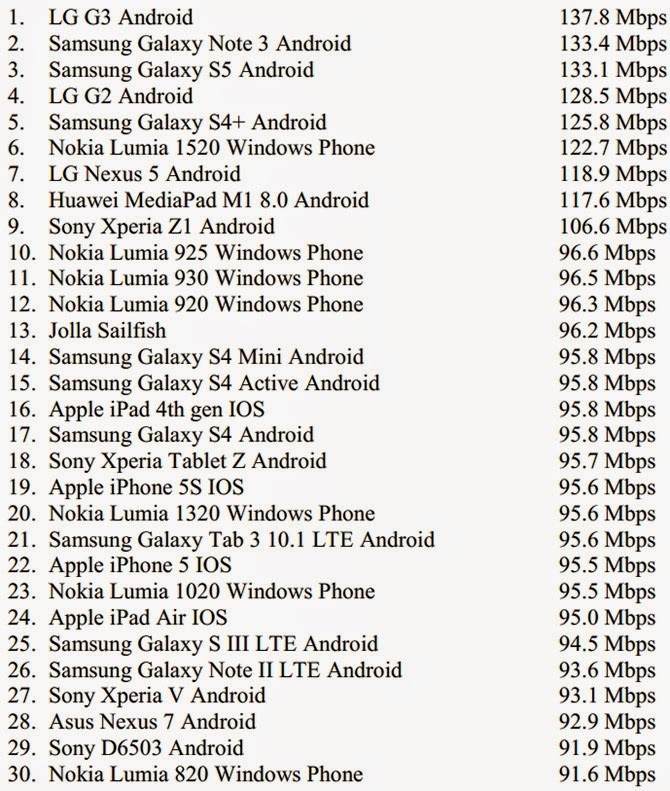 Speedtest - here are the fastest 4G-phones and tablets in the world - LG G3 in lead! These measurements / numbers are from 384.000 results made with the test-app JoikuSpeed, spread over 2000 different devices from over 200 manufacturers. The results are tested simultaneously on networks with more than 700 operators in 184 countries.